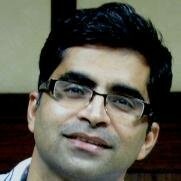 Editor’s Note: This guest post is the second in an occasional series called The Desi Marketing Project, which will focus on content marketing in India. This post was contributed by Pradeep Chopra, CEO, Digital Vidya. According to a joint research study by Marketo and Reachforce, sales and marketing alignment can help a company become 67% better at closing deals. When it comes to digital media, the line between sales and marketing has blurred. For example, even though digital media is used in number of industries such as ecommerce to directly generate online sales, the entire process is still called digital "marketing." In B2B and other scenarios wherein the marketing team generates the leads, which are closed by the sales team, it is expected that the marketing team would generate relevant leads so that the sales team could convert those leads into customers. At the same time, if the marketing team wants to generate higher ROI of their efforts, the sales team needs to be educated about the opportunity of digital media. Interestingly, the opportunity of digital media spans Sales, Marketing, and Customer Service. 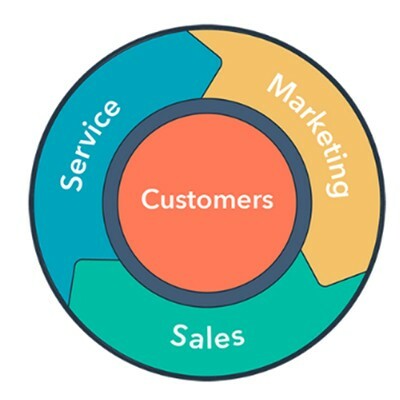 Moreover, it’s time to imagine the relationship between these departments and the customers as a flywheel (as HubSpot CEO Brian Halligan says) vs a traditional inbound marketing funnel. In the digital world, considering multiple touch points, salespeople should understand the customer journey to be able to better engage and convert prospects into real customers. It becomes even more important when digital marketing is part of overall marketing involving offline mediums as well. Consider a scenario in which a lead originates through Google search campaign through a broad keyword. The same lead appears again through remarketing campaign on a review site. If the sales person knows the concept of remarketing, he will be in a better position to have a relevant conversion with the prospect. Thankfully, "sales" term has started to become a part of the digital media jargon with the advent of concepts such as social selling or modern selling, in which salespeople use social media to engage with their prospects. “The larger number of follow-ups and the long sales cycle” are two key challenges shared by sales leaders in India. Fortunately, digital media can play a significant role in solving these challenges. For example, if a sales person uses LinkedIn to be able to understand the profile of a prospect before getting onto a call, he can significantly improve the quality of conversation and thus increases the chance of conversion. We’ve been producing a lot of content around personal branding through our blogs and webinars. Initially, we saw significantly higher consumption of such content by marketing than sales professionals. However, over last two years, we’ve observed almost equal consumption by sales and marketing professionals. A sales person can leverage his personal brand on digital media to nurture his leads for higher conversions. Your sales team can play a vital role in amplifying the message put across by the marketing team. In fact, this is applicable everyone in the organization. Here is a recent example in which we leveraged this opportunity. Digital Vidya completed nineyears of its journey in November 2018 about which I posted on my LinkedIn profile. Without involving any paid media but by leveraging the collective strength of our team, this simple message received more than 80,000 views, 1,300 likes and 200 comments. More than 5,000 of these views are among professionals with CEO/Founder title. Sales team can actually go beyond their primary accountability and contribute to the lead generation goals of the marketing team. For example, by participating on platforms such as LinkedIn, Facebook, Twitter and Quora, salespeople can actually generate leads and thus increase the overall pipeline. Interestingly, a good % of digital marketing trainings we organize for corporations are targeted at sales teams. Creating an effective LinkedIn profile and leveraging it for sales is one of the key elements of such trainings. For the same, we created a LinkedIn profile optimization task to help salespeople better leverage their LinkedIn profile. Given they are in regular touch with customers, salespeople are best set of people to share customer insights. For example, if salespeople give regular feedback about the quality of the leads for various sources, marketing team’s efficiency in generating relevant leads can multiply. Likewise, salespeople can play an important role in tracking the source of the leads, which are received through channels such as inbound calls or walk-ins. Salespeople can also share valuable feedback with the marketing team to improve the quality and relevance of the marketing content developed by the marketing team. Given this increasing overlap between sales and marketing roles, salespeople constitute over 20% of the professionals in our digital marketing training programs. While the younger sales professionals join with an objective to switch their profile from sales to marketing, the senior sales professionals are interested in becoming more efficient at sales and expanding their profile. To keep pace with the latest thinking in digital marketing from around the globe, subscribe today to the LinkedIn Marketing Blog.